Sen. Charles Schumer announced over the weekend that New York's public hospitals damaged during Hurricane Sandy have received the first round of FEMA reimbursements. The Federal Emergency Management Agency is providing $103 million in reimbursements for New York Health and Hospitals Corporation for repairs made after Superstorm Sandy caused unprecedented damages to various facilities. This money is the first to be received by the city’s public hospitals, which serve over 1.4 million New Yorkers each year. Senator Charles Schumer (D-New York) urged FEMA officials to release the funding last week, after touring Coney Island Hospital. Sen. Schumer has vowed to keep fighting until all necessary federal funds have been delivered. He said this is just the beginning. “I’ve seen the damage with my own eyes, and it was devastating...This is not the end of the aid that these hospitals will need – not by a long shot – and we’ll keep fighting until the hospitals have been fully restored and they can get back to what they’re good at – helping New Yorkers heal and recover,” Schumer said in a statement. HHC President Alan D. Aviles, who toured Coney Island Hospital with Schumer, echoed the Senator, calling this round of reimbursements the “first step toward helping us get our damaged facilities back to normal,” including Bellevue and Coney Island hospitals, as well as Coler-Goldwater long term care facility on Roosevelt Island. 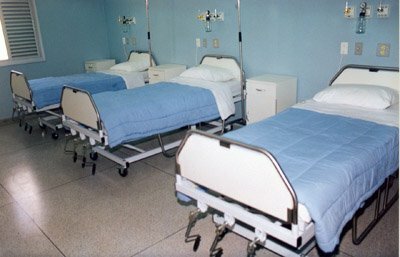 “These relief funds, which represent our earliest federal aid request for public hospitals following Sandy, are needed to pay for repairs that are already ongoing and which started almost immediately following the storm,” Aviles said, applauding the efforts of New York’s congressional delegation for advocating for the funds. Aviles reported that Bellevue and Coney Island hospitals suffered the most extensive damages. In addition to Bellevue, Coney Island and Coler-Goldwater, the Metropolitan Hospital Center will also be receiving a portion of this initial funding. These facilities all experienced damage to electrical systems, fuel and water pumps, informational technology networks and medical supplies. Floodwaters also spread debris and contaminated materials, including asbestos, fuel and sewage throughout flooded areas. Over 700 patients from Bellevue and 200 from Coney Island Hospital were forced to evacuate due to the storms. Repairs began immediately after the storm, and have been ongoing ever since. It is unclear when HHC can expect to receive additional reimbursements, but in early January the group announced that damage costs will total approximately $810 million. Permanent reconstruction costs will account for about $472.5 million, and emergency protective measures, such as pumping out flood waters and removing debris, cost about $137.5 million. Estimated revenue loss, at $180 million, makes up the rest. The Senate is scheduled to vote on the comprehensive Hurricane Sandy relief bill on Tuesday, the original version of which died without a vote being held before the 112th Congress left office in early January. The Scoop on Sandy, Restaurant Week Specials, News & More in November 9th's Newsletter! Subject: LongIsland.com - Your Name sent you Article details of "$100 Million in Federal Funds for NYC Hospitals Damaged by Sandy"